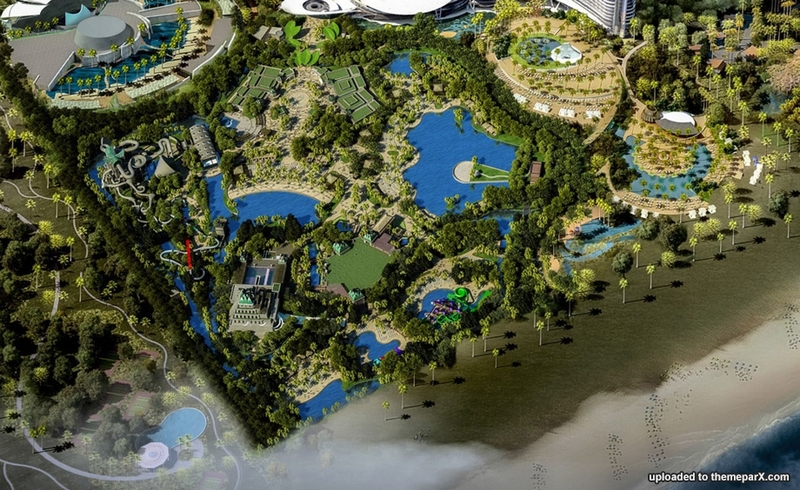 Chinese conglomerate Fosun Group will invest some 11 billion yuan ($1.68 billion) in a large, high-end tourism property project in Sanya, South China's Hainan province, sina.com.cn reported on Sunday. 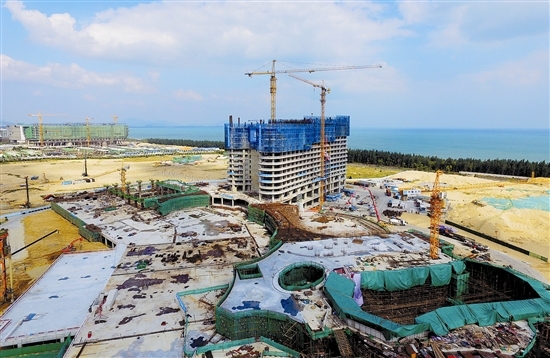 The 530,000-square-meter Sanya Altantis, expected to open in 2017, will offer services ranging from hotel, dining, shopping to entertainment, exhibition and marine culture experience. 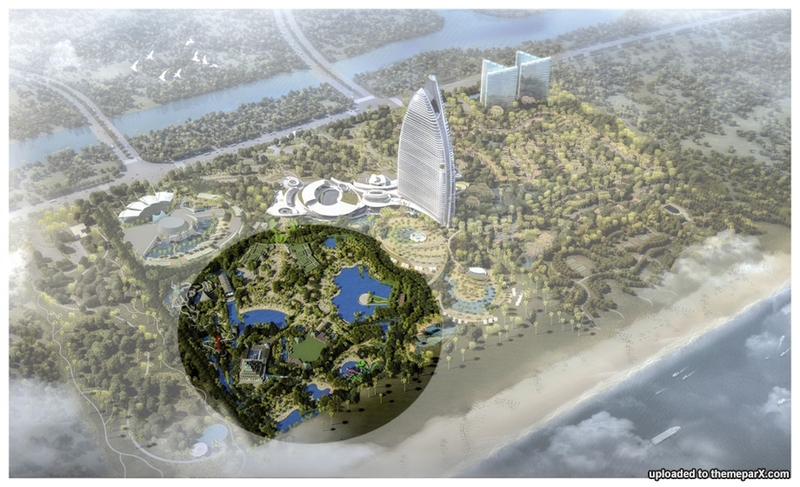 "There will be 60,000 marine life in the aquarium, 16 themed restaurants, and five deep sea suits, the only ones in Greater China, " said QianJiannong, vice-president of the Fosun Group and president of Fosun Tourism and Business Group. 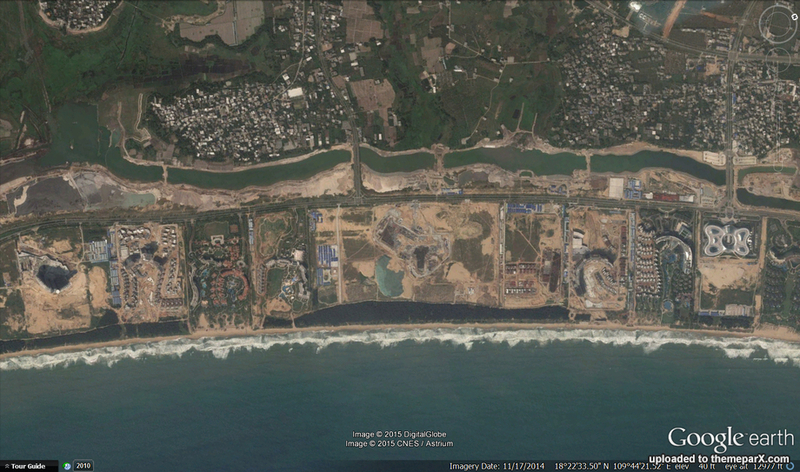 "The salable real estate includes 807 units of sea view apartments and 197 units of ocean villas," he added. 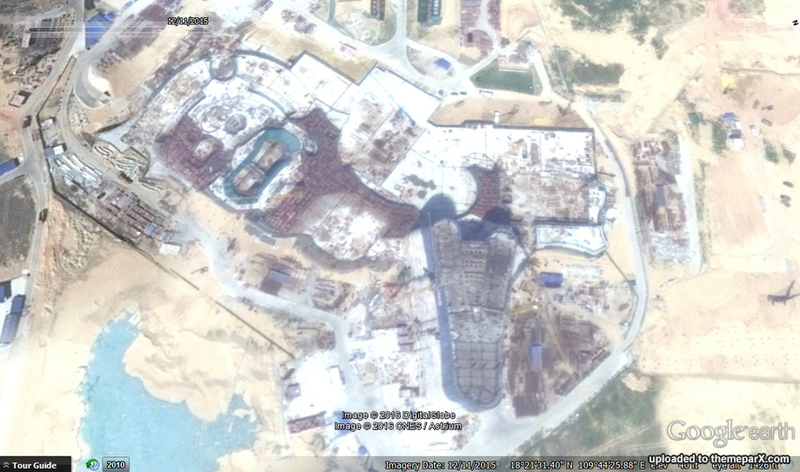 The Sanya Altantis, located in Haitang Bay, involves much higher investment than the world's two other Altantis hotels respectively in Bahamas and Dubai, according to Qian. 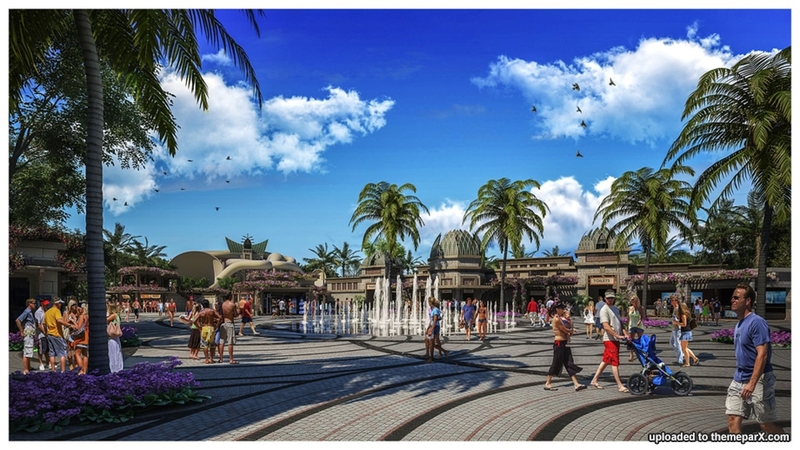 The EBIT (earnings before interest and tax) of Altantis in Dubai basically exceeded those of nearly 100 chain hotel brands in Europe, he noted. 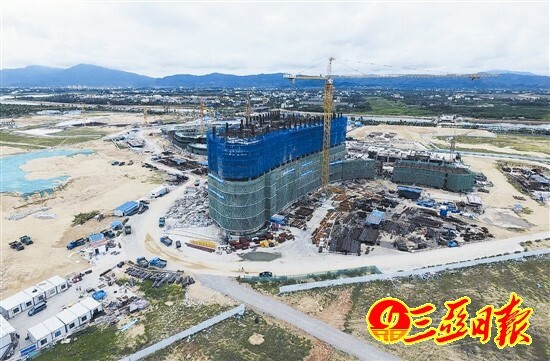 The Sanya project is expected to have an annual business turnover of around $600 million, while business turnover for top-notch hotels in China stands around 600 million yuan, said Cao Minglong, head of the project's operator. 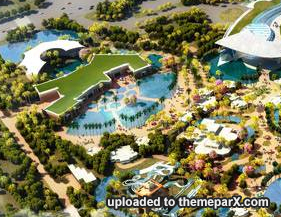 New renderings of the waterpark - looks like excellent theming! 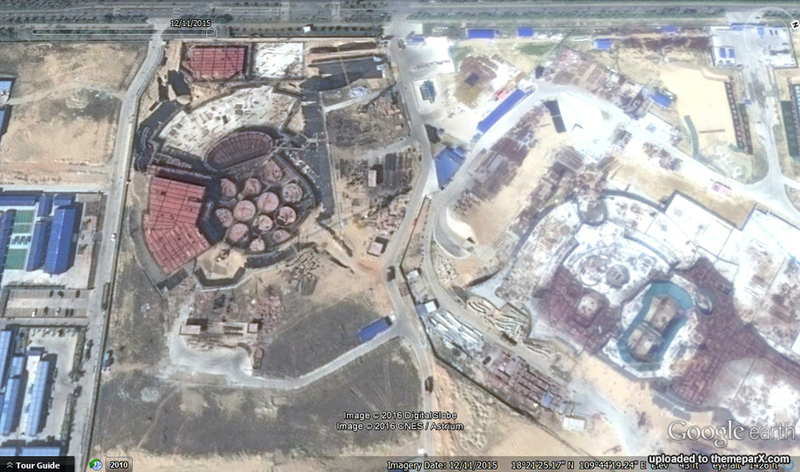 Photo from January 19, 2016. 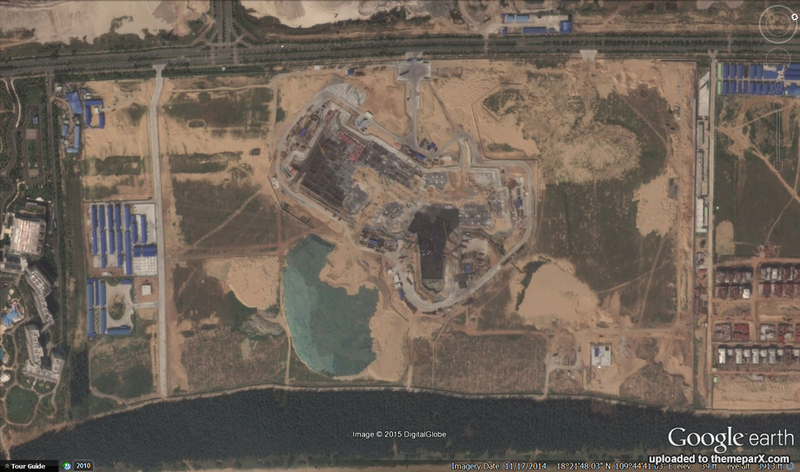 So the angle and glare on this new Google Earth image is not great but you can see the top left of the site is really starting to take shape and you can see the tower rising from the foundations as seen in the site photos. 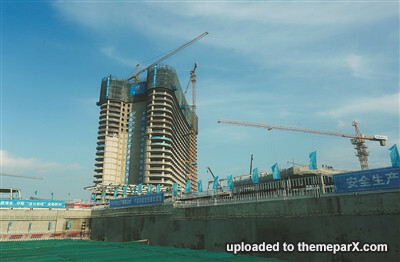 Any specifics on the amount and style of slide towers to be installed at this one? 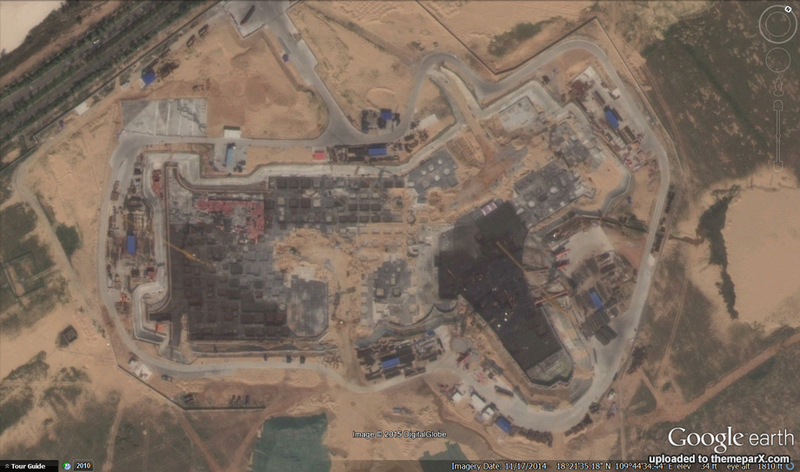 The same two as at Atlantis Bahamas and Dubai? Same look? 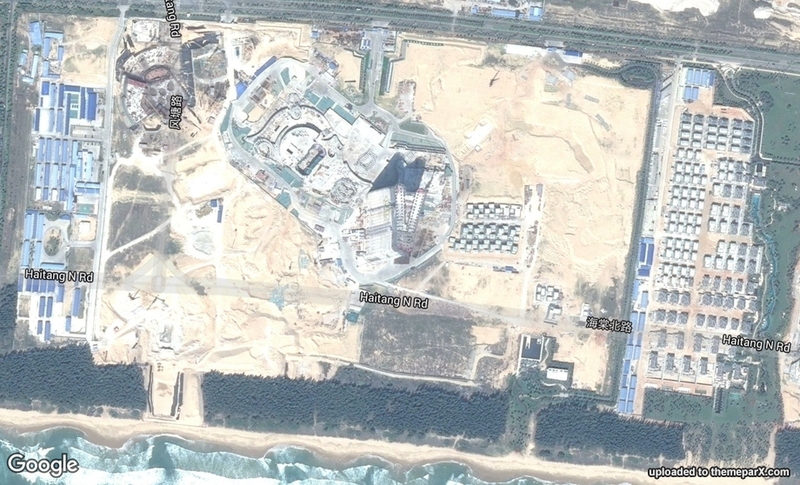 In the construction of seven-star Atlantis Hotel project, temporary sheds workers living area has invaded coastal protection forest, through outfall discharge sewage directly into the sea. 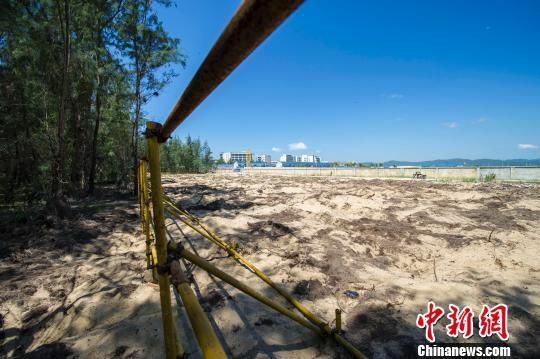 Reporters on the scene, has been part of the hotel facing the sea Coastal forest have been cut down, the thickest of trees over 20 cm in diameter, the scene scaffolding and other engineering equipment. 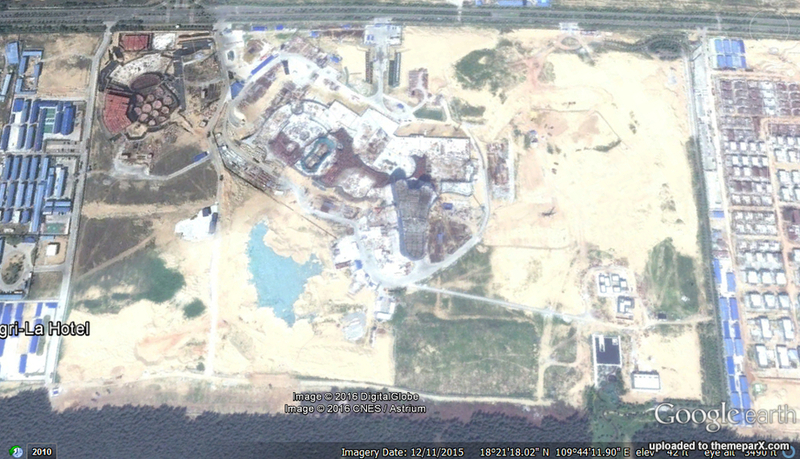 Four Seasons Hotel and the InterContinental Resort, there are also extends beyond the scope of the shoreline land, deforestation and illegal construction within 200 meters of the land.